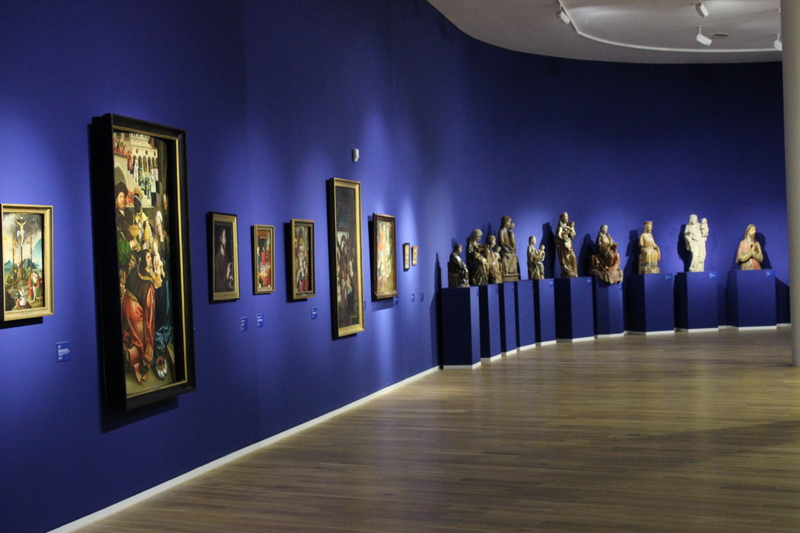 The Middle Rhine Museum encompasses over 2000 years of art and cultural history. The collection comprises around 1200 paintings, over 8000 works of graphic art (including numerous drawings and watercolours), about 250 works of photographic art, 230 sculptures and around 1000 graphic items on the subject of “travel” and “the Middle Rhine”. Other features include around 700 objects in stone, wood and metal, over 500 historic coins and medals as well as 345 ceramic objects. The museum also has an extensive collection of cultural and traditional artefacts made of a wide range of materials including painted glass, porcelain, furniture, craftwork, textiles, weights and measures, military objects, cast iron, lights and lamps, cast-iron stoves, metalware, brass and pewter objects, metal icons and clocks. The main focal points of the new Middle Rhine Museum’s generously dimensioned permanent exhibition, which covers roughly 1900m2, are the collections of paintings, sculptures and craftwork. Arranged in chronological order, the exhibition halls cover a broad spectrum ranging from medieval sculpture and the paintings of the Middle Ages, Baroque, Neoclassicism and Romanticism to representatives of the Düsseldorf School, Classical Modernism and positions in contemporary art, particularly the works of K. O. Götz, Rissa and Heijo Hangen. Running parallel to these galleries is the inner circuit, where visitors can find out more about regional art and cultural history. The exhibits include 400 paintings, 50 sculptures, 60 works of graphic art and a wide variety of different craft objects.